The Canadian Premier League is now officially up to seven clubs as the countdown to its inaugural season next April continues apace. 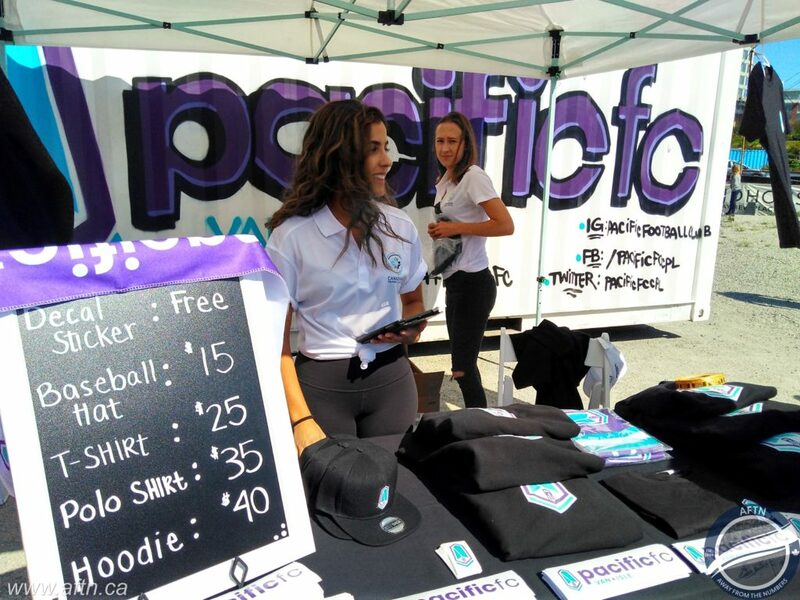 British Columbia has it’s newest professional soccer club as Pacific FC launched itself to the world in Victoria on Friday afternoon amongst a sea of purple and turquoise and a lot of hope and excitement. The Langford based side may have surprised many when it was first announced two months ago as the bid to bring a club to the Fraser Valley faltered, but the ownership group of Josh Simpson, Rob Friend, and Dean Shillington see Vancouver Island as the perfect market for a league like the CPL, and the future prospects of the club genuinely excite them. 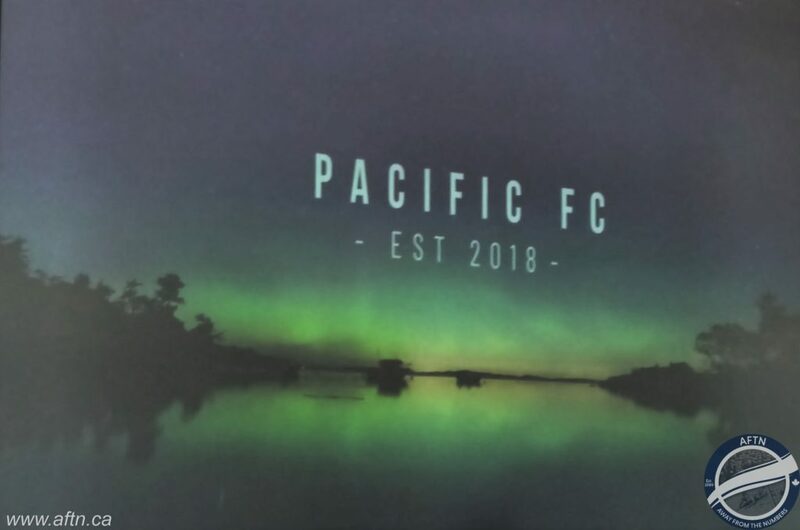 The formation of Pacific FC is certainly a very special moment for Simpson, who grew up on the island and says he has it “in my blood”. Simpson played his youth football for Qualicum Beach, Sooke, Juan de Fuca, and Victoria Metro. He had a dream of playing professional football. That dream took him to Europe, first at the age of 12, and then two years later, where he earned himself a contract to go and play in the Czech Republic. His family didn’t want him to go and he subsequently declined the offer, but at that time, that was his only real path for him to fulfill his dream and play professional soccer. There was very little opportunities for him in Canada, and certainly nothing in Victoria, who had been bereft of a professional soccer team since the Vistas went out of business in the 90s. Simpson did go on to have that pro career, playing for clubs in England, Germany, Turkey, and Switzerland, after many years of hard work and struggle to make it in the game, but now that he’s hung up his boots, he was determined to make sure that kids on the island had a much easier path to the pro game, and that road begins with Pacific FC. “It’s been a challenge for a Canadian football player,” Simpson told the assembled crowd at the Roundhouse. “You have to leave Canada to achieve your dream. Today, I’m very happy to tell you guys that that stops now. Rob, Dean, and I are really happy to be part of the solution. But as his footballing career took him around Europe, did he honestly expect Canada to one day play home to it’s own professional league, never mind him being part of it as an owner? With the name, crest, and colours of Pacific FC now finally revealed (starfish purple, lagoon blue, and lighthouse white if you haven’t heard), that’s the first part of the ownership group’s to do list checked out. But as the league get set to launch in just over eight months, the workload is just continuing to ramp up. The membership drive and season ticket deposit campaign is already underway, and jerseys will be revealed soon, once the CPL announces its league-wide supplier. Then it’s the hiring process – front office staff, sales teams, players, and of course, a head coach. And Simpson revealed that he and Friend have already been chatting in-depth as to what they see as the playing philosophy of the club. 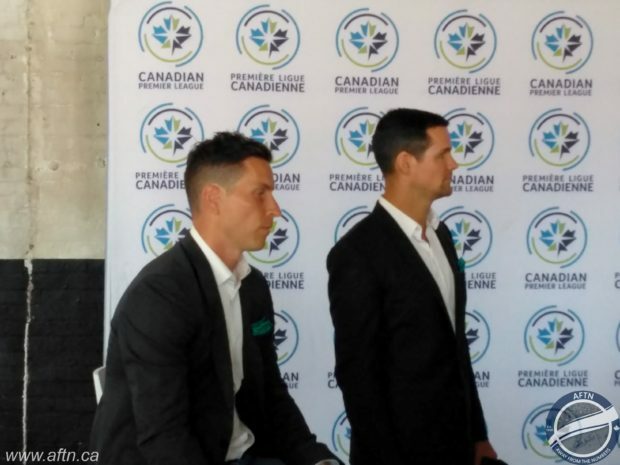 They’ve also been seeing how Pacific FC will operate in conjunction with the other key soccer players on the island – PDL side Victoria Highlanders, the VISL, the youth soccer groups, and more. And talking of the Whitecaps. Has there been any formal talks with the MLS side as to what a future partnership concerning their own homegrown Canadian players could look like? “Absolutely, initial discussions took place a long time ago,” Simpson revealed. “As I said, we will be looking to compliment an existing what’s in place. Of course the CPL needs to look after, let us say, our primary asset – young, Canadian players. “What Major League Soccer has done an outstanding job of doing is putting the U.S. to the next level. Of course as we all saw, it’s a little bit anti-climactic when they don’t make the World Cup, but that’s football. I mean, Italy didn’t make the World Cup. You can see some of our (pretty crappy if we’re being honest!) photos from the launch HERE or in the Flckr slideshow below.